Author: Henry G. Taliaferro and Jane A. Kenamore, Uli Haller, editors. 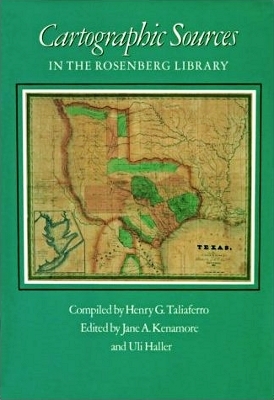 Description: The extensive cartographic collection of the Rosenberg Library in Galveston documents the development of cartography for Galveston Bay and the Gulf Coast region. This detailed guide to the important cartographic collection at the Rosenberg is selective, with entries describing and relating the history of more than 550 of the most significant and useful maps in the library's holdings. 248 pages. Viewed: 1,611 times since August 17, 2012.